In 1959, twenty-five year old Jeanine Deckers was coming off a broken engagement when she found the family she was seeking: the Fichermont convent in Belgium. The reclusive Dominican order in Fichermont convent permitted Jeanine Deckers to bring her guitar with her. 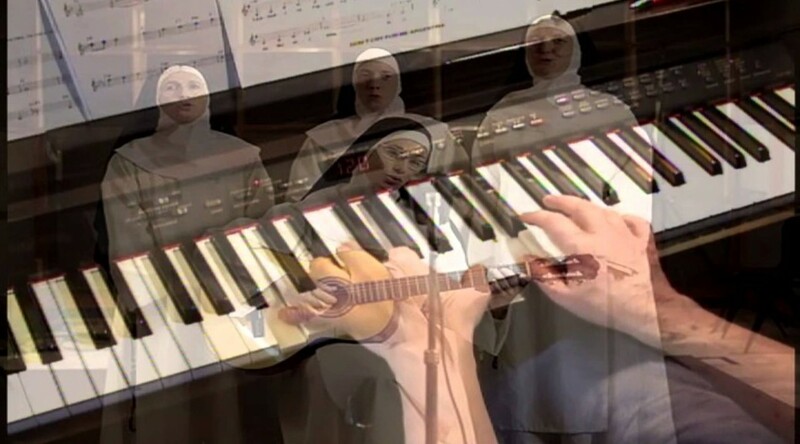 As, Sister Luc-Gabrielle, she wanted to use her musical talents to raise funds for the order. 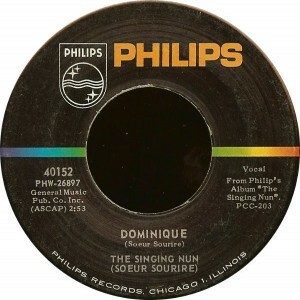 That is the quick story of “Dominique.” That is the happy beginning to a sad story ending. In the twilight of December 7, 1963 the sun was about to rise on American Beatlemania, but Soeur Sourie’s “Dominique” was both Billboard’s #1 single and album. The single remained at #1 for all of December. 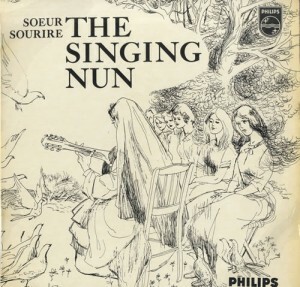 The album remained at the top spot until February 15, 1964 less that a week after the Ed Sullivan showcased the Beatles their “Meet the Beatles” album deposed the Singing Nun. 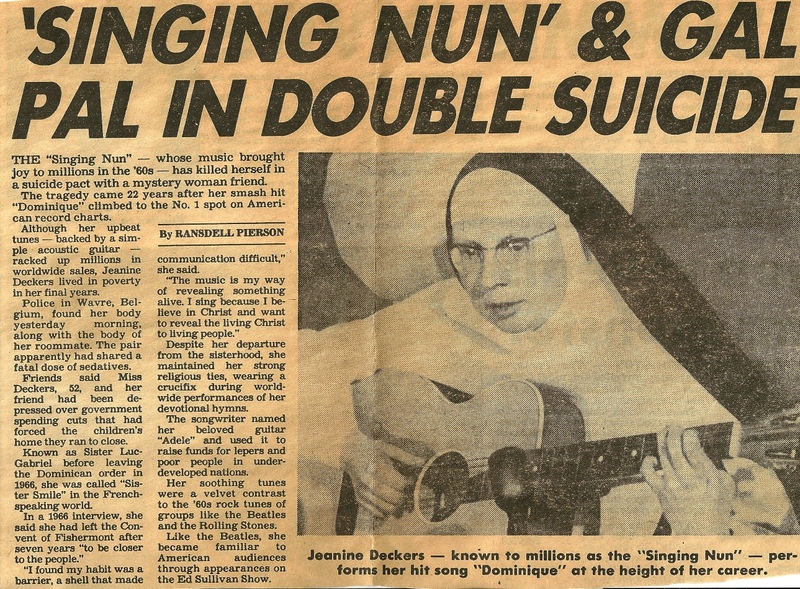 As a reclusive convent Jeanine Decker remained apart from the busy outside world. Such may be the right idea: isolation from the the world’s selfishness can make life simpler and allow productivity. World fame found Jeanine Decker and removed that isolation. She found some happiness outside the Order’s strict rules. She fell in love with Annie Pécher, a novice nun. 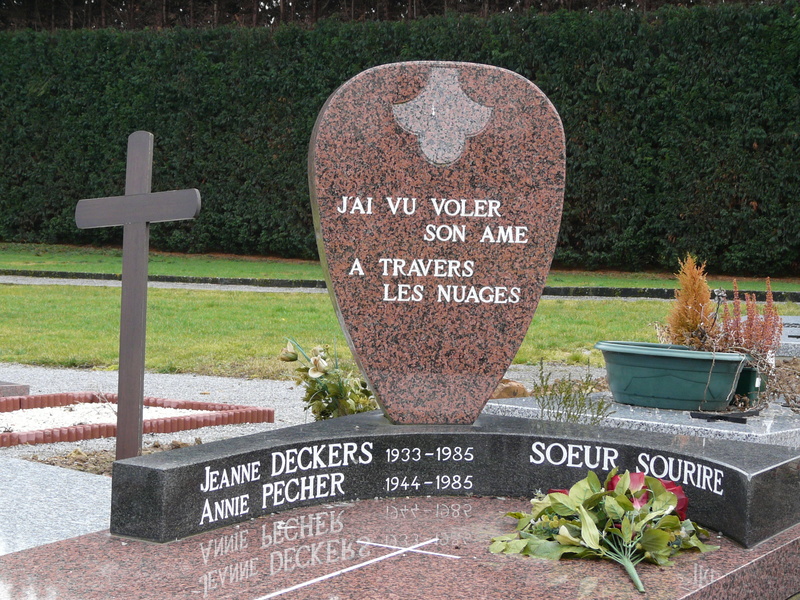 And Annie Pécher fell in love with Jeanine Decker. In 1966, they left the convent to live together. Decker’s financial success brought tax troubles. 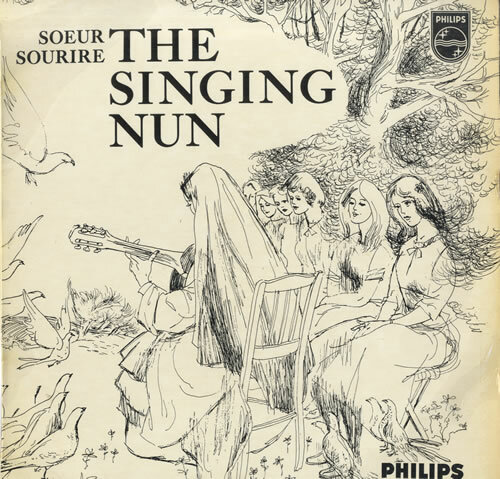 Once apart from the convent, the profits that the song had given the order became Decker’s responsibility. Though she tried to pursue a secular recording career, her Catholic fan base lost interest in the lack of a religious habit, her living with another woman, and her praise of birth control. In 1983, she and Pécher opened a school for autistic children. It failed financially. Their lives, filled with addiction and despair, the two women took their own lives on March 29, 1985. Headline announcing Jeanine Deckers and Annie Pecher’s death.